Dr. Ton provides primary eye care for patients of all ages. This means that she will take care of all your vision and eye care needs just like your primary care physician does for your general body health. All patients will be provided with a comprehensive vision and eye health examination at least once a year. This wellness eye exam will enable Dr. Ton to check your vision and determine if you need vision correction. She will also perform a binocular vision assessment to check how well your eyes work together. Dr. Ton will evaluate your eye health to screen for eye diseases such as cataracts, glaucoma, and macular degeneration. Dr. Ton can diagnose and treat eye diseases and identify general eye health problems including diabetes, anemia, high blood pressure, and others. We can also test for and fit specialty eyewear for sports, occupations, other activities and hobbies, and safety glasses. In addition to wellness eye exams, Dr.Ton is able to diagnose and treat “pink eye,” eye infections, ocular allergies, styes and other eye problems. She is able to perform foreign body removal. Dr. Ton is able to exam patients for cataracts, macular degeneration and glaucoma. Our digitial retinal camera will allow her to capture a photo of your retina (the back of the eye that processes vision) and monitor your eyes for diseases and track progression. This also allows you to be able to see your own retina. She is also qualified to diagnose and treat dry eye disease and diabetic eye disease. Just like adults, children need wellness eye exams at least once a year. Dr. Ton recommends that each child have a complete eye exam before they start preschool. A vision screening at school or the pediatrician’s office is not sufficient. The vision screening usually checks the child’s distance vision only. It is more important to check the near vision and focusing ability for young children since they use mostly near vision for learning. Dr.Ton’s pediatric eye exam will check distance vision, near vision, focusing ablility, binocular vision (how both eyes work together), color vision, and ocular health. Children’s eye exams are extremely important because amblyopia (“lazy eye”) will happen during these early years and it can be corrected if detected. Because excellent care requires good communication between our patient’s doctors, Dr. Ton will send a report of your child’s eye exam to his/her pediatrician. Dr. Ton recognizes that all eyes are different and require different care. For patients who want an alternative to eyeglasses or refractive surgery, contact lenses are a great option. Corneal topography is performed at least once a year on all contact lens wearers to provide Dr. Ton with an accurate mapping of the surface of the eye. This also helps Dr. Ton monitor for unheathy changes due to contact lens wear. There are contact lenses available for patients who want to sleep in contact lenses. This is extremely convenient for people who need to have good vision in the middle of the night such as parents of newborn babies, firefighters and patients with high prescription. Overnight contact lens may be a lifestyle choice or for people who have difficulty putting on and removing contact lenses. Dr. Ton offers astigmatism corrected contact lenses and multifocal contact lenses. For patients who have irregular corneas or keratoconus, Dr. Ton is able to fit rigid gas permeable contact lenses. For patients who want the comfort of soft contact lenses but require the optical clarity of a rigid contact lens, Dr. Ton offers the hybrid contact lens. We live in the digital age and are constantly viewing computer monitors, laptops, tablets, smart phones, and other technology. When we focus for long periods of time at the screen, we don’t blink as often and our eyes dry out. Many of us suffer from dry eye syndrome and are not even aware of it. We think that’s how our eyes are supposed to feel and just live with it, which is wrong. Dr. Ton believes that we all deserve clear and comfortable vision. Age, lifestyle, certain skin and systemic conditions and medications will also cause dry eyes. Diabetes affects all aspects of a patient’s life. The eyes are extremely vulnerable to diabetic damage because diabetes is a vascular disease and we have high blood flow going through our eye tissue. Diabetes can lead to blindness. Dr. Ton recommends that all diabetic patients get their diabetic eye exam at least once a year. A diabetic eye exam includes getting your eyes dilated so Dr. Ton can examine your retina for blood vessel damage and bleeding. 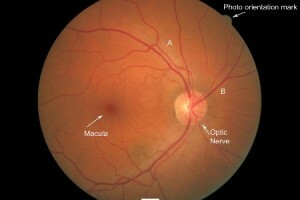 Photos of your retina will be taken with our digital retinal camera. Because quality of care requires good communication between all your doctors, Dr. Ton will send a report of your eye exam to your diabetic doctor.